ATVs have become wildly popular in the U.S., with more than 11 million ATVs and 35 million riders. 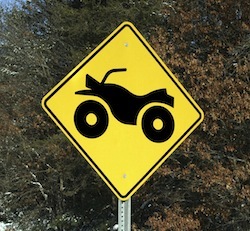 Unfortunately, ATV accidents and injuries are all too common. Here are safety tips and resources you might consider for the ATV riders in your life. Johnson & Johnson's Depuy ASR Hip Implant was recalled August 2010. This defective device had been surgically implanted in over 90,000 patients before J&J acknowledged the outcries of the medical community and pulled the ASR from the market. Recipients of the ASR have had to have the implants removed due to metallosis, chronic infection and device failure, resulting in the need for revision surgery. 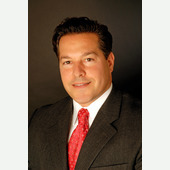 Goldberg-Legal has successfully represented dozens of men and women who have had the ASR implanted and surgically revised/removed. Where does your state rank for ATV fatalities? Check here. ATVs cause more deaths and injuries than almost any other product under the Consumer Product Safety Commission’s jurisdiction, impacting the lives of more than 100,000 families every year. The ATV Institute produces videos that promote the safe and responsible use of ATVs, reducing accidents and injuries. View videos. An ATV accident severed the spinal cord of six-time Olympic gold medalist Amy Van Dyken-Rouen. Her story shines a light on ATV dangers. View video. ATV accidents injure more than 136,000 people and kill 700 each year. NBC’s Tom Costello reports on this growing safety concern. View video. Check out podcasts featuring topics from past issues of You Should Know, and subscribe to future shows via iTunes or RSS feed.